We design and install artificial grass landscaping, sports turf, and golf greens in the greater Vancouver area, including Abbotsford, Burnaby, Chilliwack, Coquitlam, Delta, Langley, Maple Ridge, Mission, New Westminster, North Vancouver, Pitt Meadows, Port Coquitlam, Port Moody, Richmond, Surrey, Tsawwassen, West Vancouver, White Rock, and the entire greater Vancouver area. Free Grass Quote & Design Estimates. Call 1 (888) 841-TURF (8873). Celebrity Greens Vancouver is the Authorized Partner and Designer and Installer of Artificial Grass, Artificial Turf and Artificial Putting Greens for the greater Vancouver, British Columbia region. We are proven leaders in the Vancouver landscaping market and have years years of synthetic turf experience! Celebrity Greens Vancouver only installs Artificial Grass products that are environmental-friendly, durable and look like real grass. Imagine never having to water, fertilize or mow your lawn again! 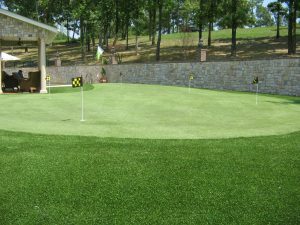 Golf Putting Greens, Playgrounds and Play Areas, Sports Fields, Pet Turf and all your synthetic turf needs. No job too big or small! Our turf is some of the most realistic and durable synthetic grass on the market today. We are partnered with the best manufacturer and international leaders in the artificial grass industry. 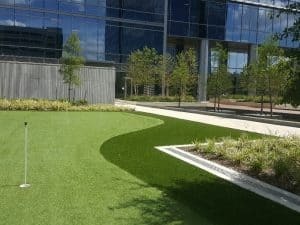 Our exclusive relationship allows us to offer you the varieties of synthetic grass products that meet the highest standard in artificial turf manufacture, longevity and durability – Our customers have peace of mind and a beautiful yard, playground or putting green. 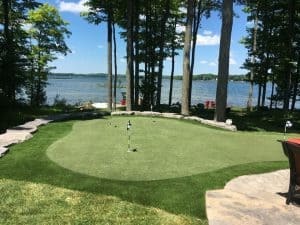 We install all sports surfaces, as well as kid-friendly playground surfaces, dog runs, and we specialize in designing and installing the most advanced sand filled, artificial grass putting greens available today. 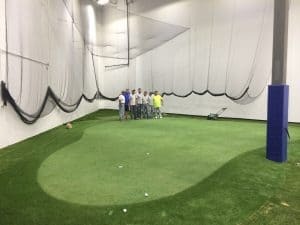 Our Synthetic Putting Greens can be installed indoors and outdoors. We offer a multitude of design features including sand traps, water hazards, custom lighting and many other amenities to excite the game of golf. Celebrity Greens Vancouver also offers complete landscaping services, and we are proud to offer products that require very low-maintenance while remaining lush and green through every season. Contact us today at 1-888-841-TURF (8873) for a free consultation! Celebrity Greens Vancouver also offers complete landscaping services, and we are proud to offer products that require very low-maintenance while remaining lush and green through every season. Contact us today at 1-888-841-TURF (8873) for a free consultation!